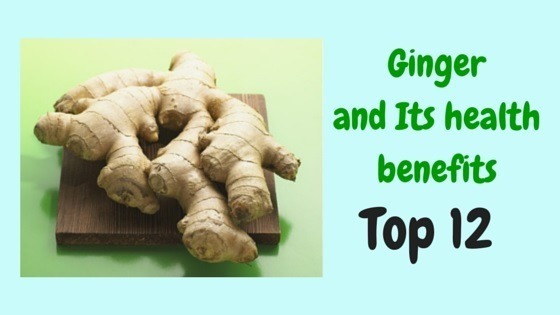 » Ginger, its importance and top 12 health benefits it has. Ginger, its importance and top 12 health benefits it has. Ginger is one spice that you should keep on hand in your kitchen. Not only it is a great addition to your recipes, but there are quite a few medicinal properties in it – so many that it could easily fill up a couple of books. Ginger is a flowering plant that is used as both a cooking spice and an alternative medicine. The part of the ginger plant that is used, often called the ginger root, is actually a rhizome. A rhizome is an underground stem. Ginger is very aromatic and is common in Asian cuisine. Ginger has an incredible variety of health benefits as well as well as a great cooking ingredient. Generally speaking, the nutritional value of ginger is very high. Individuals can eat ginger in order to nourish their bodies, eliminate stomach aches, help with menstrual pain and much more. Ginger has a very low glycemic index. The glycemic index of a food measures the impact that food has on blood sugar levels. Foods with low glycemic index have been shown to be good for cardiovascular health, metabolism, depression, and more. Ginger itself, when used as a spice, packs a huge amount of flavour for a very small amount of it. A common serving size is only 1 teaspoon which contains only 2 calories. When eating fresh ginger it is recommended to not consume more than 2 teaspoons at a time as this can cause digestive discomfort. Even in small amounts, ginger is a wonderful source of magnesium and potassium. What is Ginger Good for: Top 12 Health Benefits? Ginger can be dried, powdered, fresh or given as a juice or oil. Many individuals use ginger in order to treat stomach problems such as colic, morning sickness, gas, nausea, and diarrhea. It can also be used after surgery in order to help prevent nausea and vomiting. In this section of the article, we are going to take a look at the top 12 health benefits of ginger. Ginger has been shown to open up inflamed airways in those who suffer from asthma without the use of steroidal medication. It also helps relieve pain associated with asthma symptoms. Osteoarthritis is caused by the degeneration of joints and leads to intense and chronic pain. The anti-inflammatory properties of ginger offer effective and safe pain relief from these symptoms. Chronic indigestion is thought to be caused by food staying in the stomach too long and a sluggish digestive system. Ginger helps with this by accelerating the speed at which the stomach empties which helps to prevent indigestion. It can also be used to treat the pain and discomfort associated with chronic indigestion. Ginger extract lowers LDL lipoprotein levels in the body. LDL lipoproteins are more commonly known as “bad cholesterol” and can increase the risk of heart disease. Due largely to its anti-inflammatory properties, ginger can help offer relief from menstrual pain. Taken in the early days of menstruation and throughout the cycle, it can offer as much relief as if not more than ibuprofen. The anti-inflammatory properties of ginger strike again. Ginger can help reduce pain from exercise or general muscle soreness. Typically, in this sense, it is recommended that 2g per day are taken to treat muscle pain. New studies on ginger have shown that it has anti-diabetic properties. In 2015, one study showed that 2g of ginger per day lowered the fasting blood sugar in Type 2 diabetics by almost 12%. Ginger is able to inhibit the inflammatory response in the brain. This response has been shown to be a key factor in Alzheimer’s and other age-related cognitive disabilities. Gingerol, the active constituent in ginger, can lower the risk of infections overall. In addition, ginger can limit the growth of bacteria thereby treating and preventing infections. It is particularly effective against oral bacteria such as those that cause gum disease and gingivitis. Ginger increases thermogenesis which is how much heat is produced when breaking down fat. The increase in thermogenesis changes the way the body stores fat and increases metabolism. Not only does ginger cause a faster fat burn, but it also helps increase feelings of fullness over time. New studies on ginger have shown that it can be an effective treatment for several types of cancer including colon cancer, breast cancer, and ovarian cancer. In studies on ovarian cancer treatment, the use of ginger not only killed the cancer cells but also caused them to turn and attack themselves instead of healthy cells. Ginger has been long used for the treatment of nausea and motion sickness. Although there are two schools of thoughts on the safety of ginger during pregnancy, it has long been used as a natural aid to help with morning sickness in early pregnancy. Fights cancer, can be used for nausea treatment, weight loss, fights/prevents infections, increases brain function, lowers blood sugar, helps with sore muscles, offers menstrual pain relief, lowers cholesterol, a great asthma treatment, and indigestion treatment. With all of those benefits nesting behind ginger, we can’t see why you wouldn’t want to take advantage of it as soon as possible. The ginger root, though not actually a root, but a rhizome, is the portion of the ginger plant that is used for both cooking and medicine. This portion of the plant contains gingerol, which is the active constituent of the plant and the key to the majority of its health benefits as well as its potent smell. Gingerol has been proven to be an incredibly effective anti-inflammatory which is why ginger is so useful for the treatment of minor aches and pains. It has also been shown to be anti-carcinogenic, although more study needs to be done in this area. This is why ginger is currently being researched for cancer treatment. Gingerol is also an anti-oxidant. Although not thoroughly studied, this could be why ginger is helpful for increased brain function and depression treatment. Side Effects of Ginger: Do they exist? Although ginger has been deemed safe for most people, there are still some generally mild side-effects that can present for some people. Typically these side effects are heartburn, diarrhea, and general stomach discomfort, and they present when too much raw or fresh ginger is consumed at once. Menstruating women have also occasionally noticed breakthrough bleeding as well as more bleeding during menstruation that has been associated with ginger. It can also increase the risk of bleeding with bleeding disorders because it increases circulation and can function as an anti-coagulant. In low doses, ginger is good for the heart and can improve heart health, but when taken in high doses it does have the potential to worsen heart conditions. Because there are little information and different schools of thoughts on the matter, pregnant and breastfeeding women should consult a doctor before taking ginger. Ginger can be consumed naturally in food. It is typically used as a spice in Asian cuisine but is very versatile in its flavor. Though not a good way to measure the amount of ginger consumed, this is an easy way to add a little extra ginger into an everyday diet. Ginger tea is warm and spicy and easy to make. It can be made my slicing a 2-inch cube of ginger and simmering the slices in a cup of water on low heat. It’s important to keep the pot covered so all of the beneficial constituents stay in the water. After the tea is made, the ginger slices can be eaten if desired. Ginger capsules are typically filled with ginger powder, and it is recommended that 2000 mg be taken each day. Other supplements are usually made from extracts of ginger. Supplements of Ginger: Are They as Healthy as Natural Ginger? Ginger supplements are typically found in the form of pills or capsules. Usually, they are made with ginger powder or concentrated oils that have been extracted from the ginger. Supplements are a great way to ensure that enough ginger is being consumed to experience the health benefits that it offers and they are very convenient. When made at home or purchased from a reputable source, ginger supplements are no less effective than natural ginger. In conclusion, if you’re looking for something that is healthy, you’ve found it – ginger. 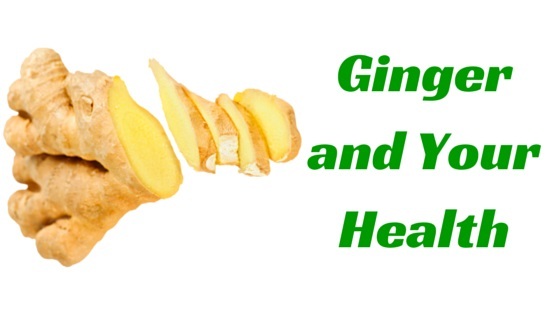 Ginger has so many health benefits behind it and is available in capsule, as tea or in food. Previous Post Source Naturals Melatonin Liquid – does it works as claimed? Next Post All you want to know about Omega VRT350, A Low speed juicer. This Helped me a LOT!!! !Hey, I tried this program for two weeks and nnothig happened, but after that, I started to lose weight. And now, one month after i have lost a serious amount of weight, of course I go running aswell sometimes, but this healty eating is really helping me!